28/6/2011 notice: We have been advised that this event has been cancelled. The Children’s Book Council of Australia (WA branch) runs an annual book-based quiz in the style of ABC TV show, Spicks ‘n’ Specks. 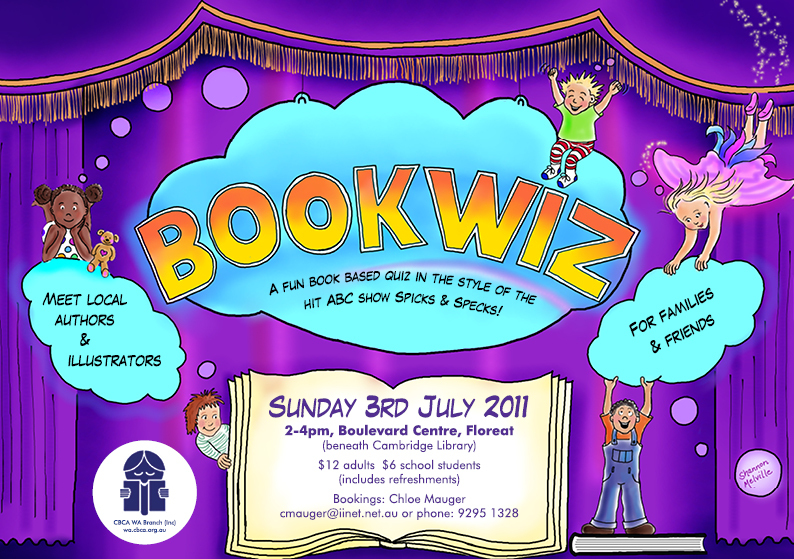 It’s called BOOKWIZ! Bring your family and friends along for a fun afternoon and meet local authors and illustrators. Next Post George and Ghost–book review and giveaway! Such fun! Wish i lived closer!